Shut Up and Go to Vienna! 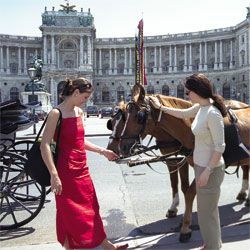 Just a week after his partner-in-crime Jo Franco visits Athens, Shut Up and Go travel-blogger Damon Dominique will be heading to another of Europe’s capital cities – Vienna – to sample some art and culture and develop his knowledge of the German language. 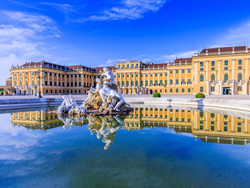 Dubbed both the City of Music and the City of Dreams, Vienna has held the top spot for ‘most liveable city’ on Mercer’s Quality of Living survey for 9 years running! The Vienna Philharmonic Orchestra, for example, really helps credit the city this title. Every year their New Year’s concert attracts a huge number of viewers across Europe. For many it is now a yearly tradition on New Year’s Day to watch this concert on TV. 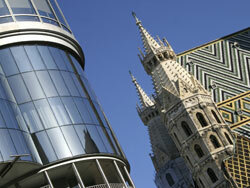 Good times, incredible times and VIENNA-TIMES!!! I took a Standard Course for German, which was perfect for me because I had class in the morning and was free for the afternoon. That way I learned a lot of grammar, new vocabulary and pronunciation in the morning and used it in the afternoon with my classmates or locals. An absolute must is the museums quarter. Even if you’re not a fan of museums it’s worth going for a walk just to enjoy the breathtaking architecture of the huge buildings.